NOTE: Ensure that stored measurements are backed up to a PC or PosiSoft.net. The Gage will Reset after completion of the update and ALL readings in memory would be erased. 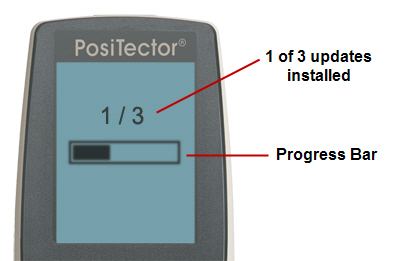 PosiTector Advanced users connected via WiFi can skip to Step 3. Step 1: Ensure PosiSoft Desktop (version 4.1.0 or greater) is installed and running on your PC. If you have not installed PosiSoft Desktop, it can be downloaded here. 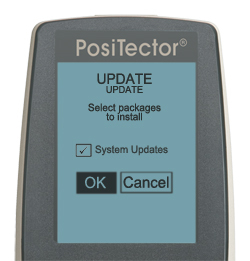 PosiSoft Desktop is not required when updating via WiFi (PosiTector Advanced models only). 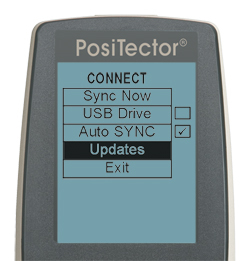 Step 2: Connect your PosiTector to the PC using the supplied USB cable. e) The update process will begin and a progress bar (as shown above) will display. The Gage will power-down upon completion of the update. 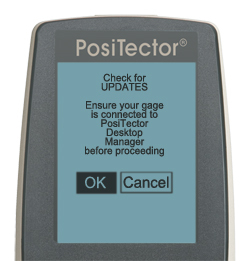 When powered-on, the gage may reset to finalize the installation. 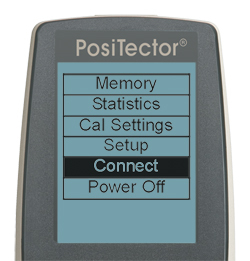 When complete, the PosiTector software revision should match the latest package found in the Software Revision Notes below. Most recent and recommended revisions shown below.